Many people prefer to get their omega-3 essential fatty acids from krill oil, because the capsule is easier to swallow than the larger fish oil capsule. The smaller capsule contains just the right dose of omega-3's for daily health management, if you are managing your diet for optimum health in other ways. Plus, you don’t get fishy smelling breath with a dose of fish oil. The optimal dosage of omega-3's in your diet depends, in part, on your consumption of omega-6 essential fatty acids. Although omega-6's are required by the body for normal functionality, most people are consuming far too much from fatty, processed foods. This is causing an array of health problems including, heart disease and high blood pressure, depression and poor brain health. The body uses omega-3's to make the hormones that regulate inflammatory processes. The body uses omega-6's to make the hormones that initiate the inflammatory processes which activate the immune system, break down old tissues, and remove foreign bodies. Both omega-3 and omega-6 fatty acids are ‘essential', meaning the body cannot manufacture them and must obtain them from food. But the fact that they are essential does not mean that more is always better. An adult has needs an absolute minimum of about 600 mg of omega-6's every day to make the hormones that initiate inflammation. The body needs only half as much, just 300 mg of omega-3's every day to make the hormones that regulate inflammation, and keep them from becoming excessive. That's about the amount of omega-3's you will get from a single dose of krill oil. So why do so many promoters of fish oil, microalgae oil, and flaxseed oil encourage you to take more and more? The body needs both kinds of hormones, those made with omega-6 fatty acids and those made with omega-3. There actually was a time, before about 1950, when there were people who were deficient in both omega-6 and omega-3 essential fatty acids. In the twenty-first century omega-6 essential fatty acids are found in seed oils, such as GMO soybean oil, GMO corn oil, and GMO canola oil, grown on tens of millions of acres of farmland across the USA and Canada. These seed crops that are so rich in omega-6's are fed to cattle, pigs, and chickens, all of which are likewise produced in enormous quantities. And because most people eat a ‘generous' quantity of these meat products, they get up to 20 grams of omega-6 fatty acids, every day. That's more than 30 times what they need, but they still only get about 0.3 of a gram of omega-3 to balance their inflammatory effects. This is why inflammatory diseases, which many experts believe include diabetes and cancer, are running rampant. Nearly everybody needs more omega-3's. Nearly everybody needs to cut back on omega-6's. Do You Get Too Much Omega-6 Essential Fatty Acids in Your Diet? To a limited extent, as long as you take consume about half as much omega-3 fat as omega-6 fat, your body can just make more of both kinds of hormones. When you consume more than about 4% of total calories in the form of omega-6 fat, however, the body starts converting both omega-6 and omega-3 into the storage form of fat, omega-9, which is cholesterol. Even worse, the process of making these storage forms of body fat releases free radicals that can change cholesterol into the form that can harden in the lining of the arteries, and when this kind of fat is being stored, it can't simultaneously be burned. Getting too much omega-6 fat is one of the major causes of becoming over-weight, and obesity. How Much Omega-6 Fat Does it Take to Become Toxic? 1 tablespoon of safflower oil, used in frying foods or making salad dressing, and no other omega-6 foods all day. 1-1/2 tablespoons of corn oil or soybean oil, used in frying foods or making salad dressing, and likewise no other omega-6 foods all day. 3 ounces of cookies with cream filling. 3 ounces (10 slices) of fried bacon. 3 ounces of fried chicken nuggets. 2 ounces of snack crackers. Pie crust from 2 pieces of pie, if the crust is made with shortening instead of butter. 2 oz of cheese spread from a jar. If you eat certain kinds of prepared foods, there is simply no way you can take enough omega-3's to counterbalance the omega-6's. For omega-3 essential fatty acids to have a beneficial effect on your health, you have to eliminate junk foods and even some of the tastier fried foods, like bacon (or make them a once-a-week treat). You can take up to 3000 mg of omega-3's safely, even though you just need 300 mg, and if you are eating an otherwise healthy diet. Any more than this may cause side effects. That's a lot of krill oil. 300 mg of omega-3's a day is the amount you need if your diet is otherwise perfect. 500 to 1500 of omega-3's a day is the amount most people need because even when they do their best, they get too many omega-6's. 3000 mg of omega-3's, which is a handful of krill oil pills every morning (not recommended, and not necessary) is the absolute maximum your body can ever use. If you were eating lots of snack foods, fast foods, oils, and margarine, your body may actually need this maximum dose of omega-3's. But there is a point at which more, more, more won't be enough. There is a point at which you have to limit your consumption of fats for omega-3's to work. But then there is the question of which kind of omega-3 supplement works best. Why Not Just Take the Recommended Fish Oil Dosage? 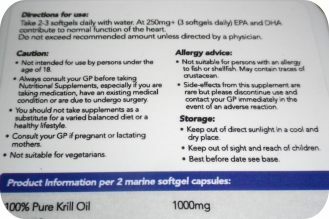 The reality is, that fish oil usually comes in larger capsules than krill oil. Each capsule contains more omega-3's. 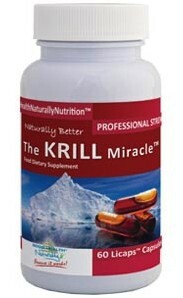 But krill oil supplements provide more of the omega-3 essential fatty acids in a form that your body can actually use. Read more in our article titled krill oil vs fish oil. Krill are harvested in Arctic and Antarctic waters and kept cold until they are processed for their omega-3's. Other kinds of cold-water fish are often caught in cold waters near the equator, and exposed to heat on their way to the factory. Krill oil is presented in its natural form. But, fish oil is sometimes heated with alcohol to form a kind of chemical called a fatty acid ester. Your body can use the omega-3 fatty acids in krill without digesting the ester. 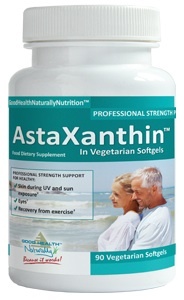 It eventually uses the omega-3 fatty acids in esterified fish oil, but only after a long process of digestion. Studies show that more of the DHA, EPA and total omega-3 fatty acids from krill oil do actually reach their destination in the body, than alcohol-treated fish oil. Three clinical trials and more than a dozen studies with animals in a laboratory confirm that krill oil is definitively more bio-available than fish oil, esterified or not. But that's not the only advantage of krill oil. Every cell in the human body is lined with phospholipids. These natural fats act as a kind of raincoat to keep the cell from dissolving in the watery plasma of the bloodstream. Cells that don't get the phospholipids they need malfunction as they are exposed to greater oxidative stress and easier attack by infectious microorganisms. There are phospholipids in krill oil. There are not any phospholipids in most highly processed brands of fish oil. But that's not all. Krill oil is also a good source of the nutrient choline. Like the omega-3 fatty acid DHA, choline is a building block of healthy cells in the eyes, nerves and brain. Many of the foods highest in choline, such as bacon and pork sausage, are also high in potentially toxic omega-6's, but krill oil provides choline while actually improving hormonal balance, rather than upsetting it. Krill oil costs a little more than fish oil, especially the fish oils that are chemically treated. But a little krill oil goes a long way, especially when you are also limiting your consumption of potentially toxic fats from fried foods, bacon, and pre-packaged snacks.